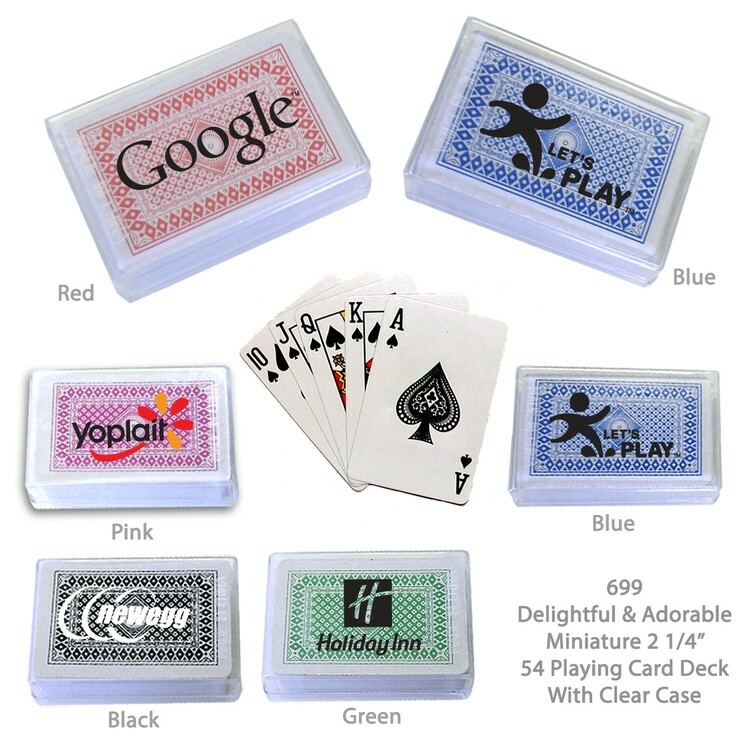 Make a lasting impression with this compact & unique 2 1/4" playing card deck !... This item features a delightful 52 card deck and 2 Jokers... Each deck is an authentic 54 card deck and comes in a clear case for easy storage... Perfect for casino, gaming and other fun events... It's light and compact and fits almost anywhere... Compact size of approximately 2 1/4'' x 1 1/2''... Available in red, black, pink, green or blue, the imprint is on case... This miniature deck is guaranteed to delight everyone. • Imprint Area: 2 1/4" x 1 1/4"